It has been a long time since my last update, we have been so busy and have been doing so much I’m afraid I had to put this on the bottom of the list! We have done so much in the last two months, here is a condensed version of where we have been. 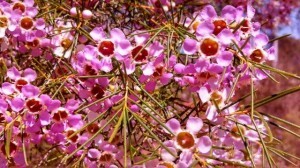 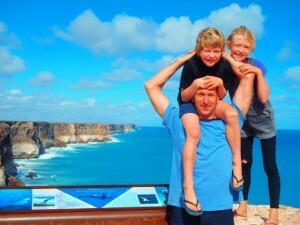 My Facebook page (Family Travels) has updates regularly. 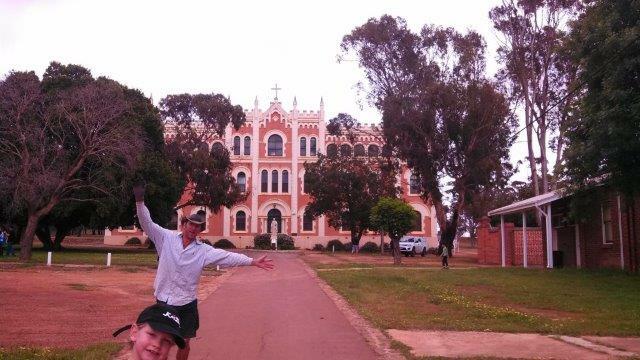 Visited Northampton and arrived in Geraldton where Wayne went kayaking at St George Beach and was pursued by a great white shark! 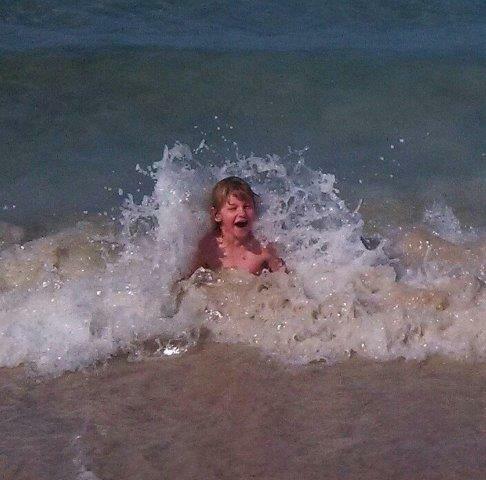 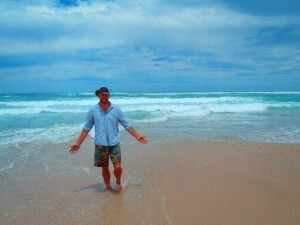 He hit it on the head with his paddle which finally deterred it enough for Wayne to reach shore safe but freaked out! 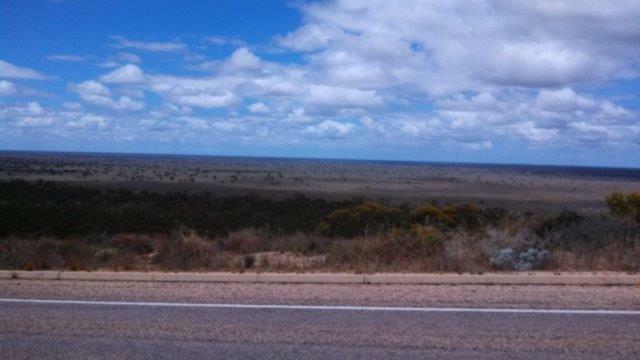 Starting to reach the wheat belt now with wildflowers everywhere. 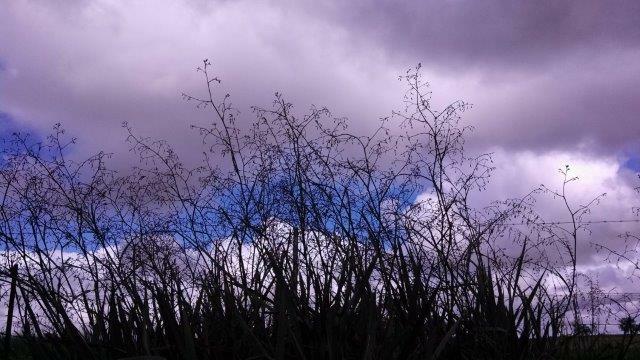 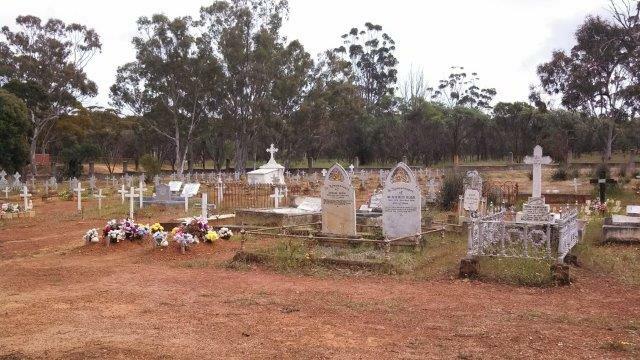 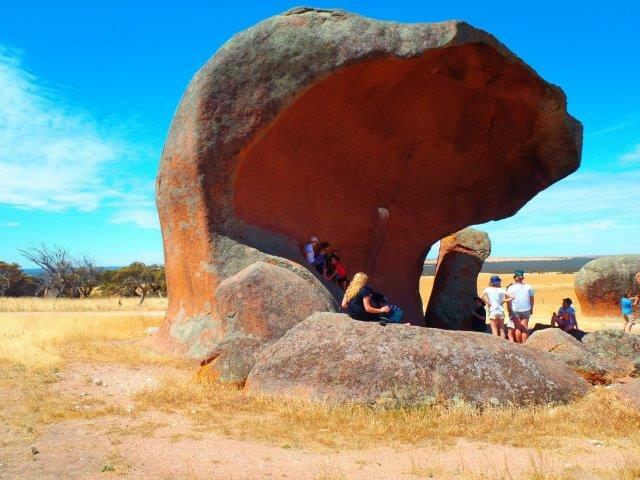 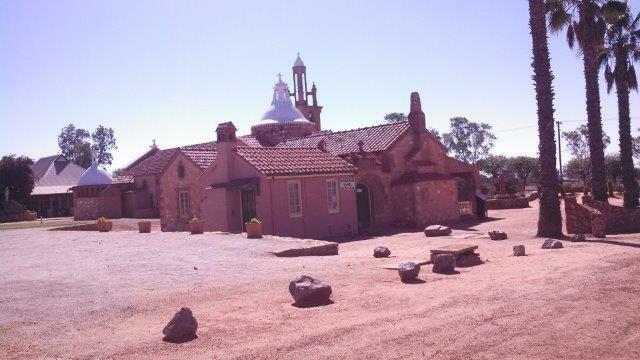 Visited Mullewa and walked the John Hawes Heritage Trail. 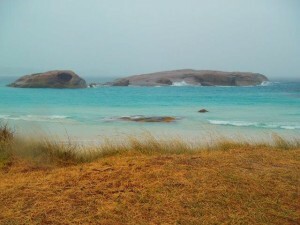 Camped at the beautiful town of Canna. 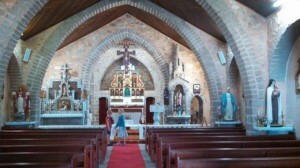 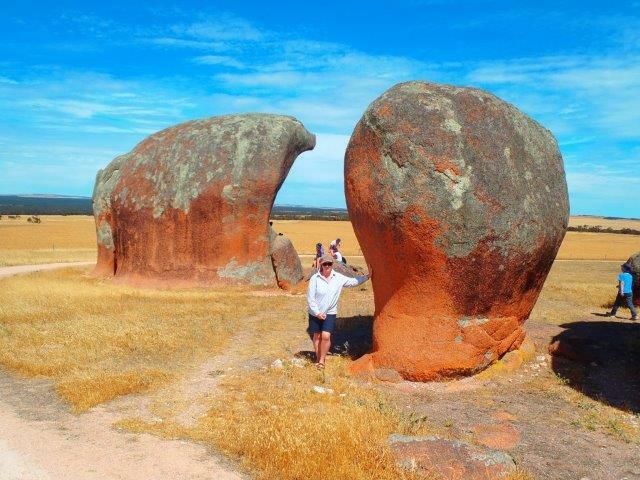 Visited Mingenew and Dongara/Port Denison. 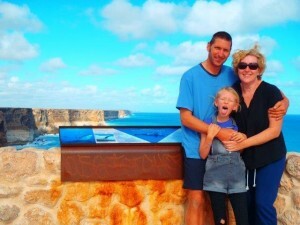 Camped at Cliff Head. 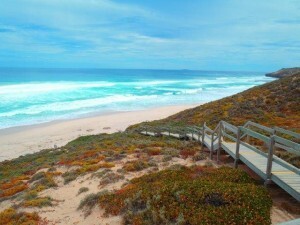 Green Head with ultra-white sand dunes and then drove through Jurien Bay and stayed in Moora for the night. 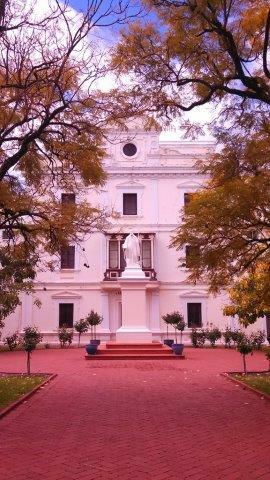 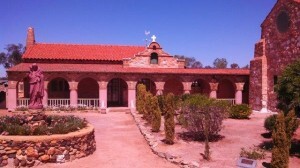 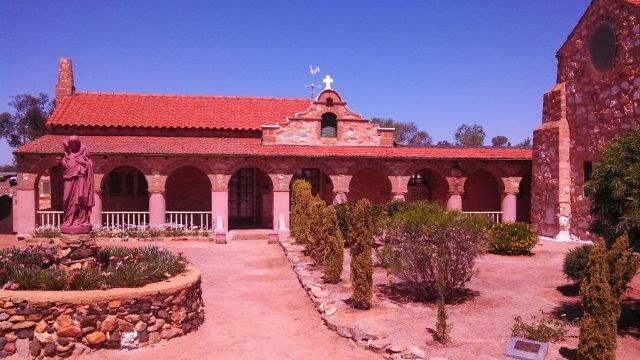 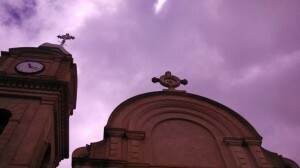 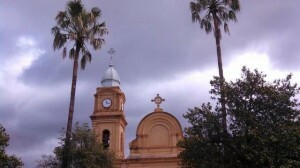 Went on a tour of New Norcia where there is an old Monastery, loved it here. 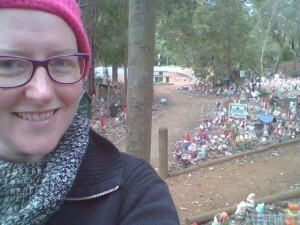 Stayed at Bindoon which had a fantastic Op-shop. 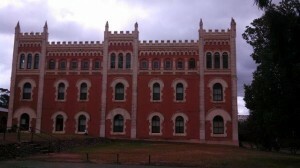 Drove out to York, lots of beautiful old buildings and a fantastic old gaol and museum. 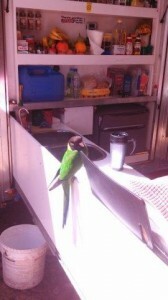 Also provided free camping with power, what a wonderfully friendly RV town it is. Went out about 30mins east of York to WhiteGum campground and had a lovely stay there. Arrived in Perth, shocked to be in so much traffic after travelling in the countryside for so long! 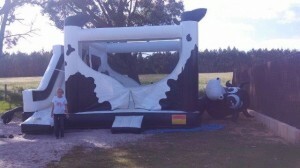 Got our truck serviced, so took the loan car for a scoot around Perth. Stayed with my brother-in-laws family which was lovely. 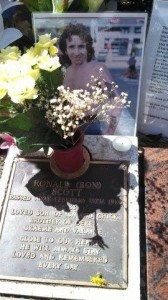 Visited Bon Scott’s grave. Drove through Freemantle and stopped for lunch. Headed to Rockingham for a look around at the nice beaches. 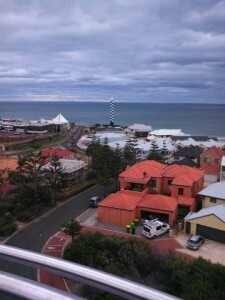 Arrived in Mandurah, a very large town. 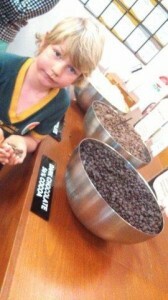 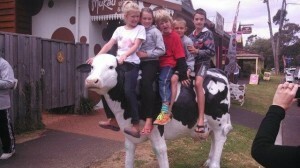 Stayed with friends we met at Broome (Ben & Dot the ice cream people!). 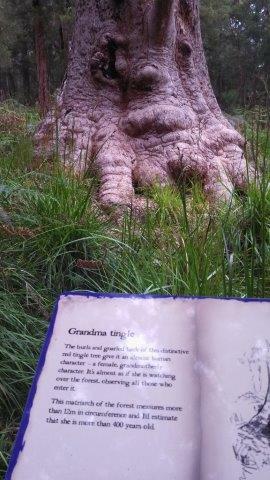 Kids loved it, it was like seeing their Nan and Pop. 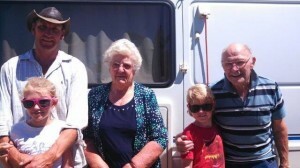 Dot took us around to all the op shops and it was so wonderful to have some home cooked meals and use a shower. 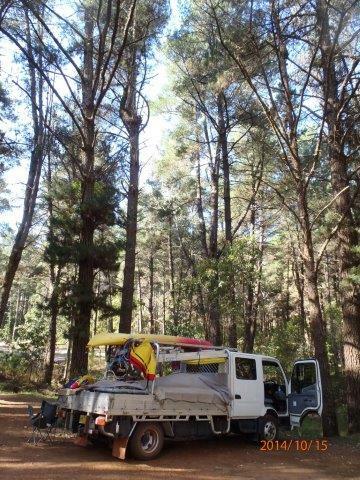 Drove east to Pinjarra and then enjoyed the scenery of Dwellingup and Marrinup (all the ‘up’ places and there are lots down this way. 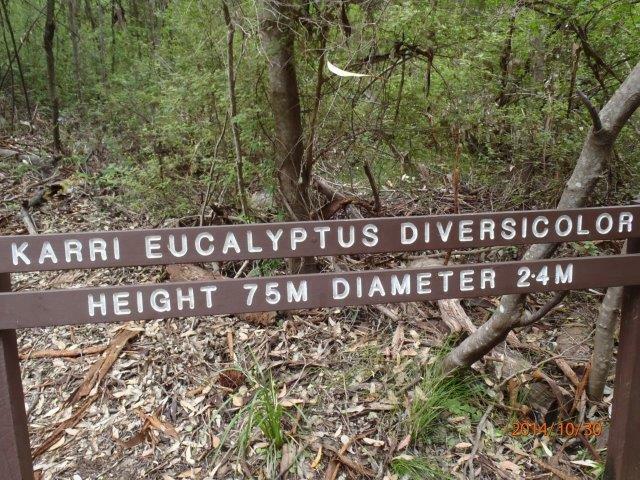 Apparently means water in Aboriginal). 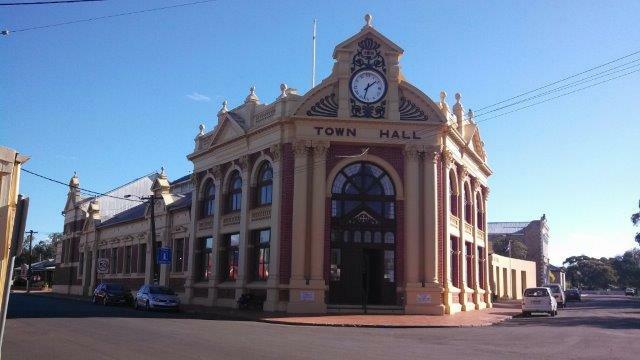 Enjoyed a day in Bunbury, another large town. 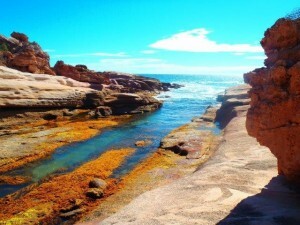 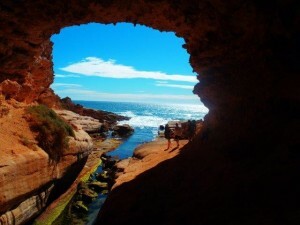 I really enjoyed Bunbury, it’s a lovely beachside town. 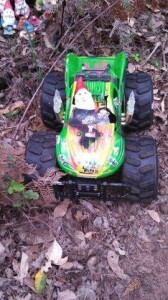 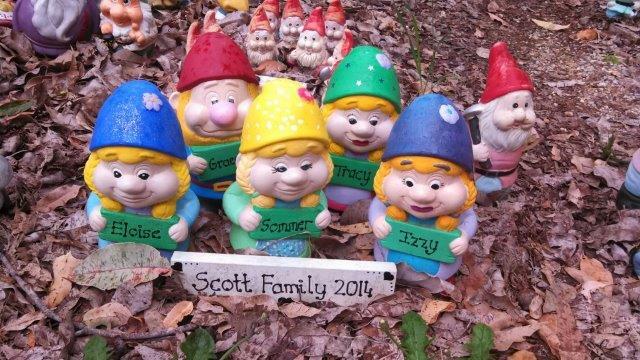 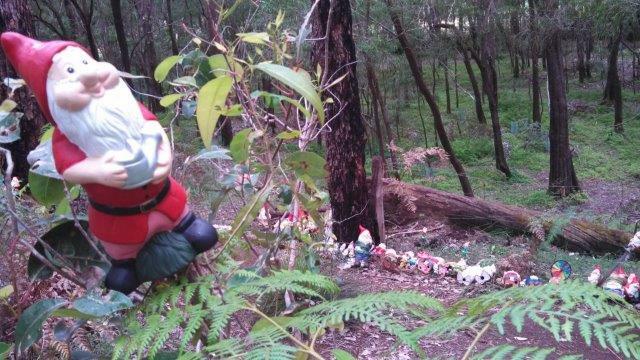 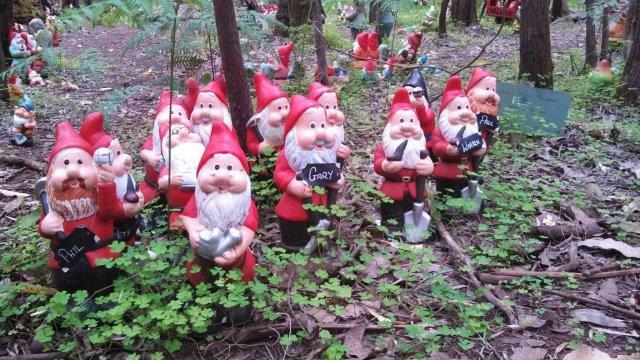 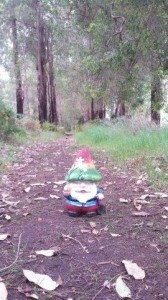 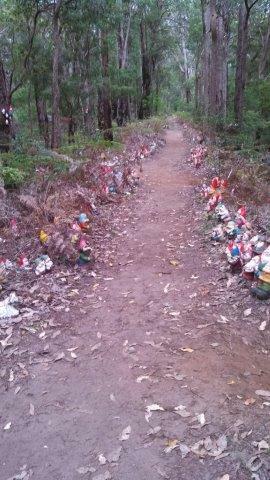 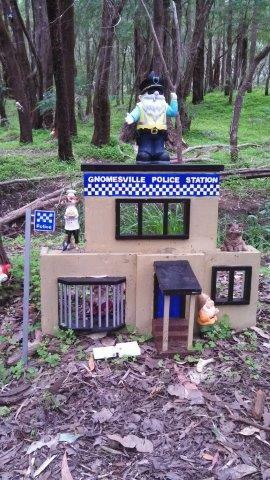 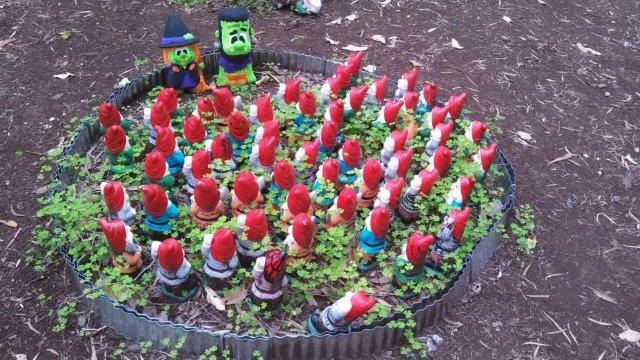 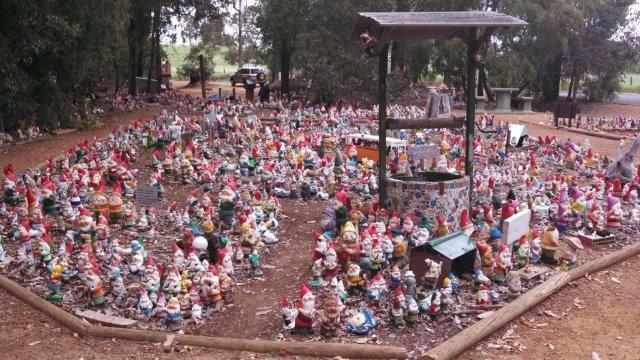 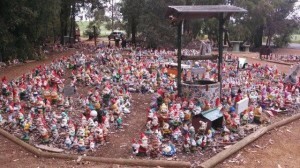 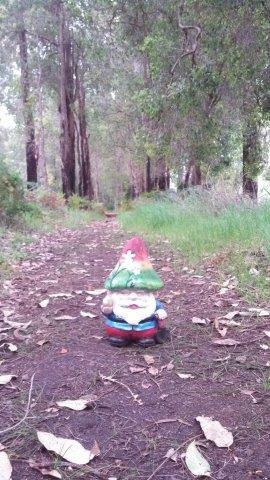 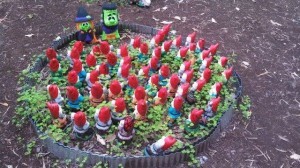 Payed a visit to see all the gnomes at Gnomesville at Wellington. 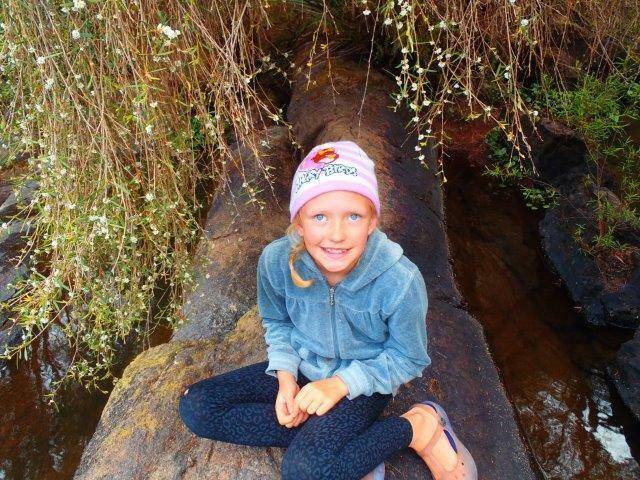 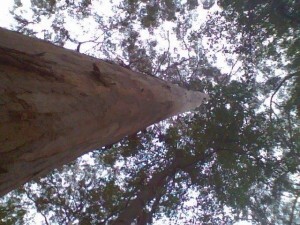 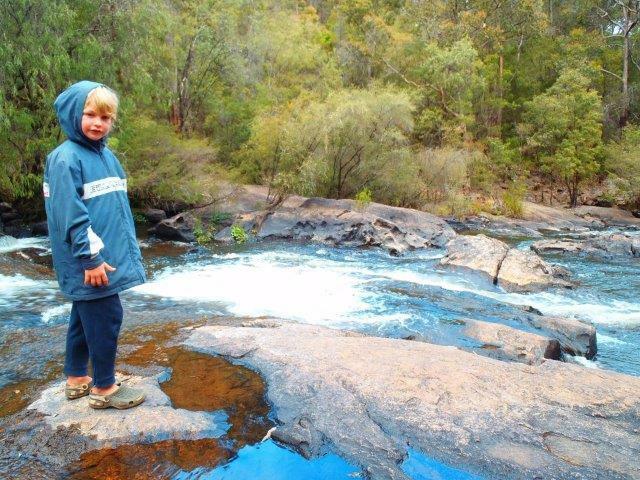 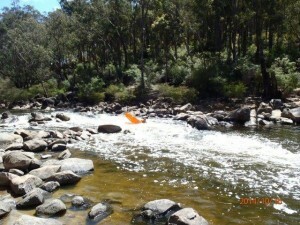 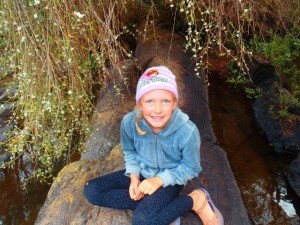 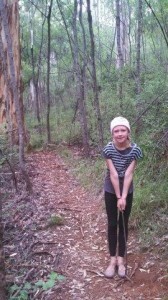 Camped within a forest of jarrah at Potters Gorge. 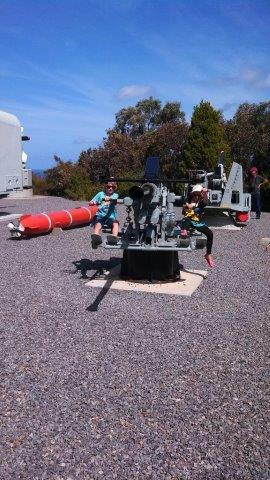 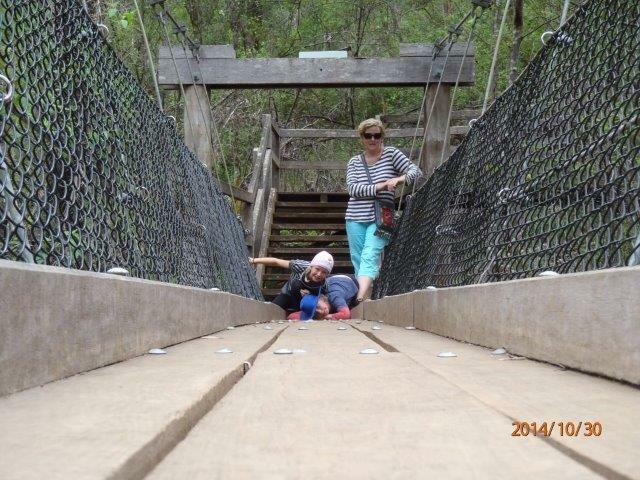 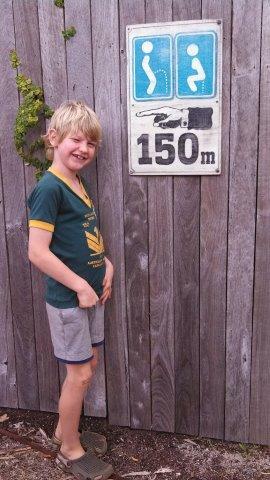 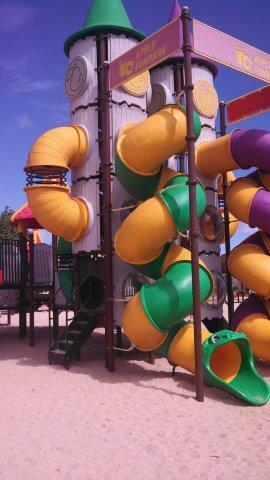 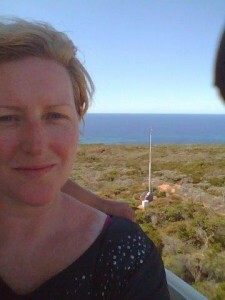 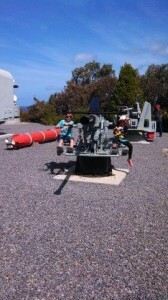 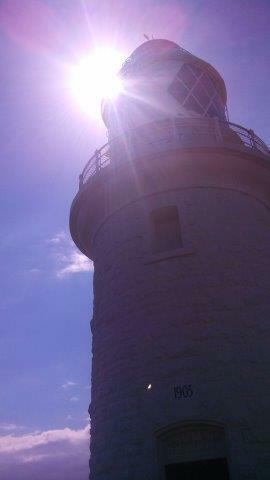 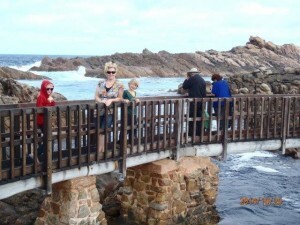 Played at the Apple Fun Park in Donnybrook, lunch at Dunsborough and visited the Lighthouse at Cape Naturaliste. 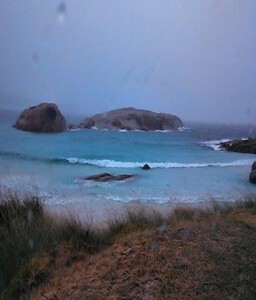 Had a lovely visit to Meelup Beach where we sneakily snuck into the bush and slept the night to the sound of waves crashing and waking up to million dollar views. 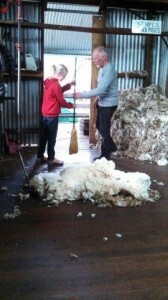 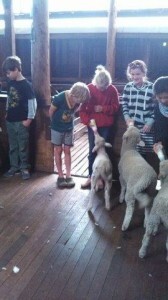 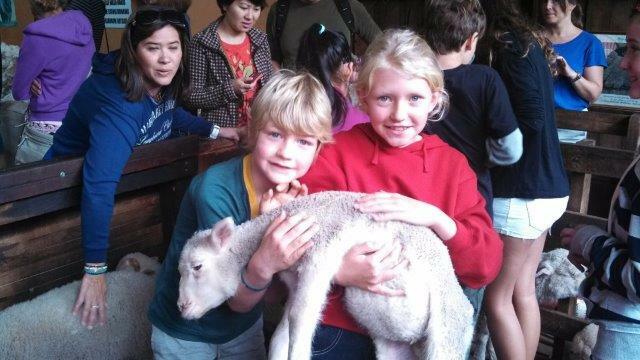 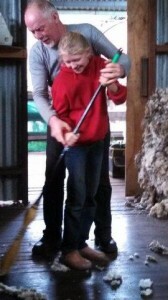 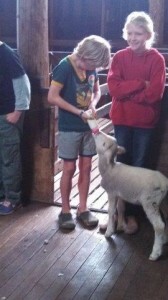 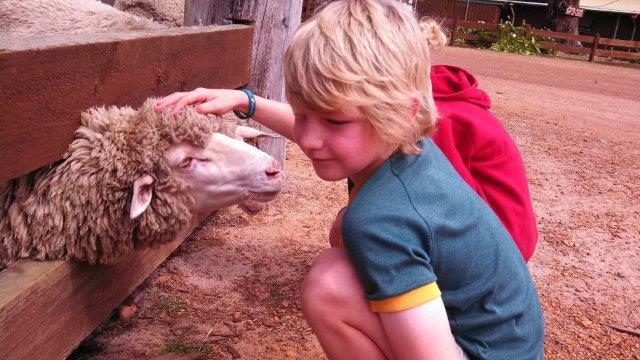 Drove through Yallingup and had a wonderful time at the Yallingup Shearing Shed. 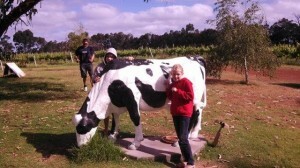 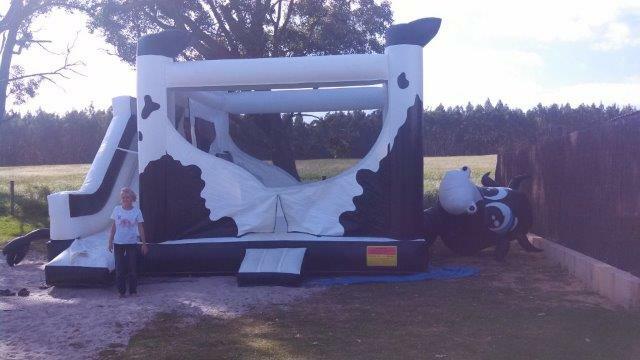 Afterwards we arrived in Cowaramup (Cow Town where there are dozens of giant fake cows placed all over the town, its fantastic) where we visited Canal Rocks, The Candy cow, The Chocolate Factory, The Silk Farm, Margaret River Nougat Company and Cheeky Monkey Brewery. 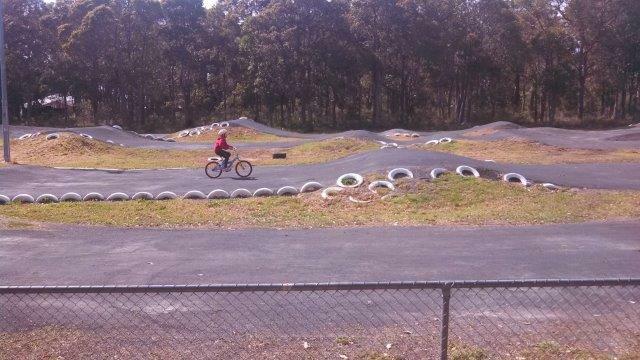 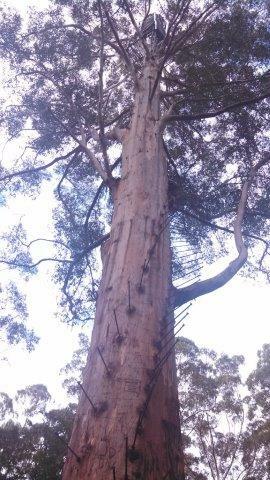 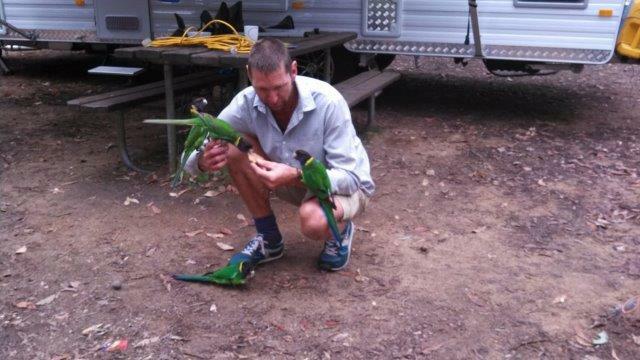 Met a local in Cowaramup and we were able to free camp behind the Men’s Shed for a few days. Sure Margaret River is lovely but the outside towns are much more interesting and inviting. 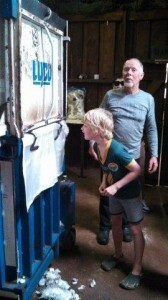 Enjoyed a quiet ale at the Cowaramup Brewery. 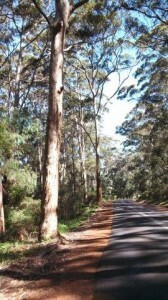 Drove through Leeuwin-Naturaliste National Park with all the magnificent giant gum trees lining the road. 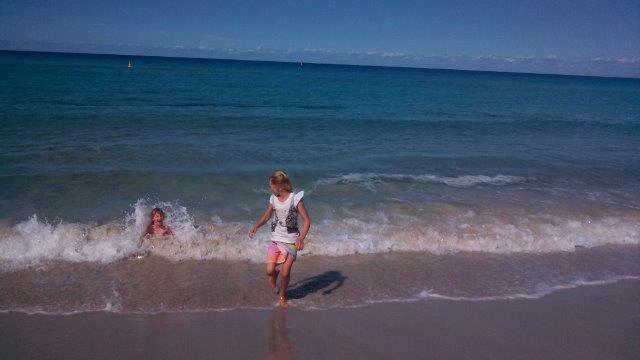 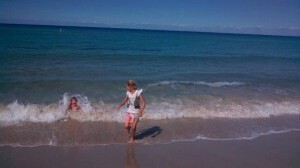 Went to Hamelin Bay where stingrays swim amongst swimmers. 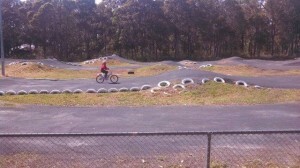 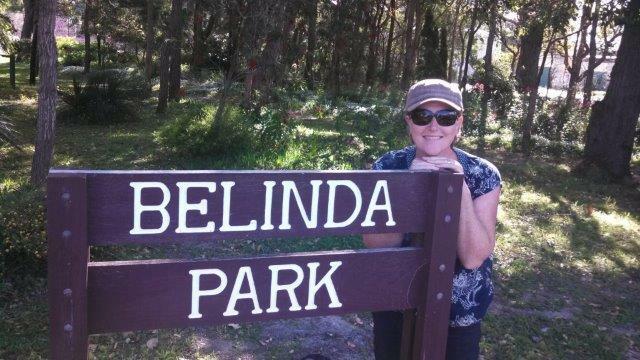 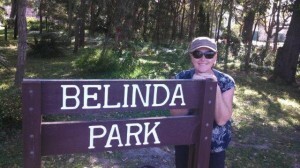 Stayed the night at Belinda Park!!! Nice drive towards Pemberton where we visited Beedelup Falls, the Gloucester Tree, the Cascades and the Bicentennial Tree. 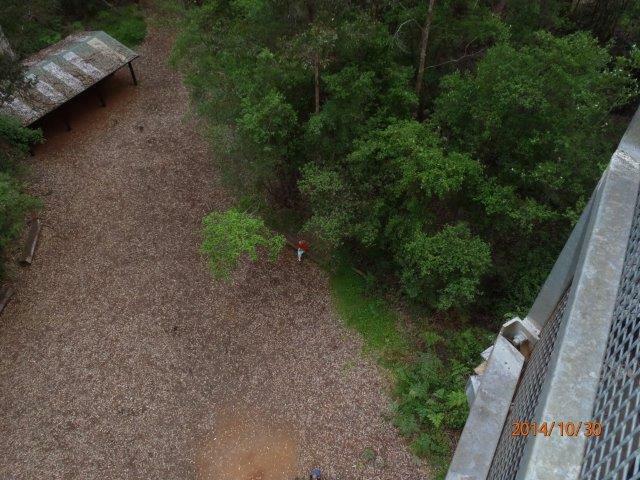 Wayne of course climbed right to the top of these trees (highest was 65m). 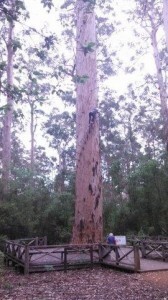 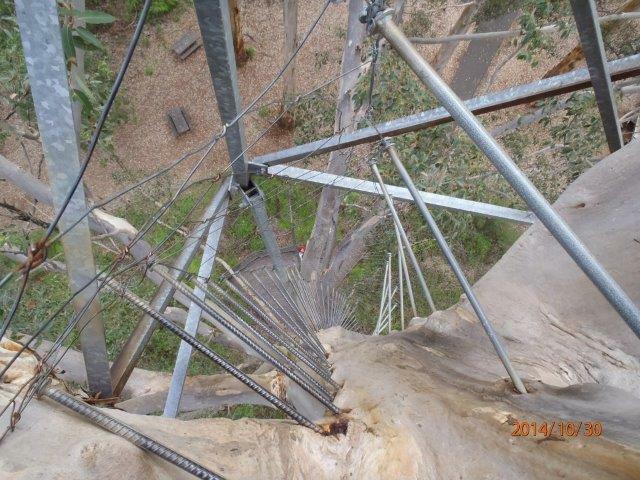 These trees used to be used for fire spotting, now they are for tourists to climb up. 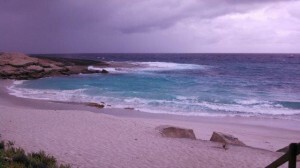 Spent a few days enjoying this area. 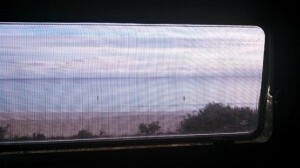 Stayed at a place called Reelmein (Reel Me In). 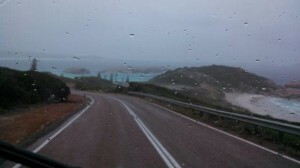 So cheap with flushed toilets, hot showers and lovely rain water to fill up our tanks with. 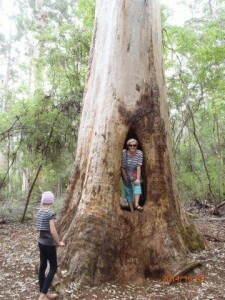 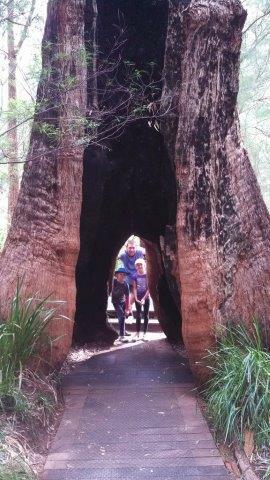 Visited the Giant Tingle Trees of Wadpole and walked amongst the Valley of the Giants. 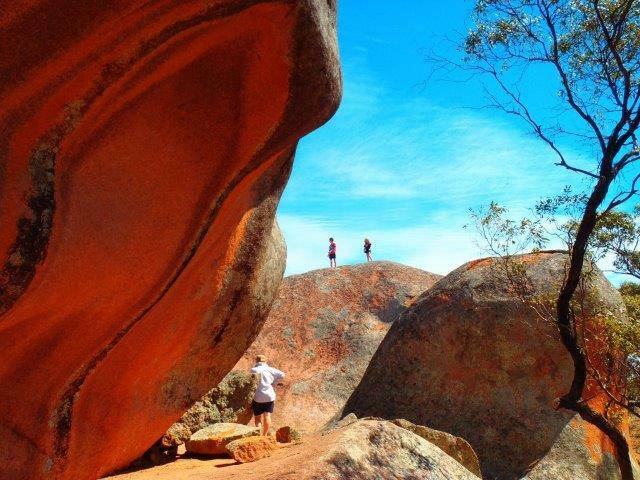 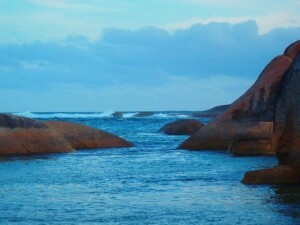 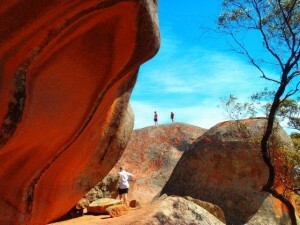 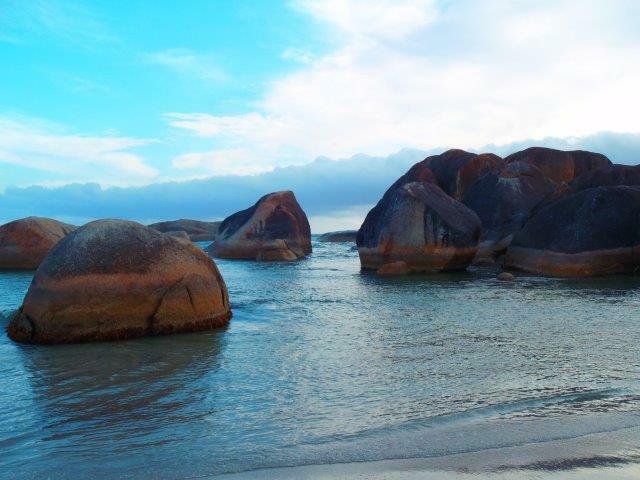 Drove to Elephant Rock and walked in the refreshing waters around these amazing rocks. 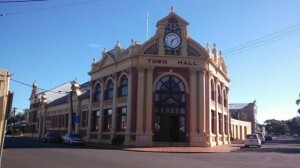 Arrived in Albany, another large town. 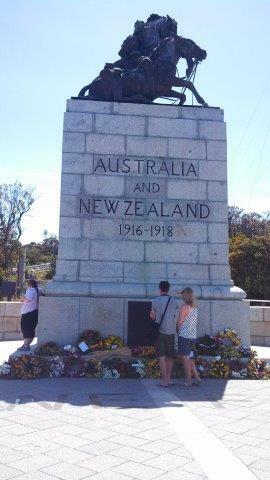 Visited the ANZAC Centre and memorial where they had just finished a week of ANZAC tributes. 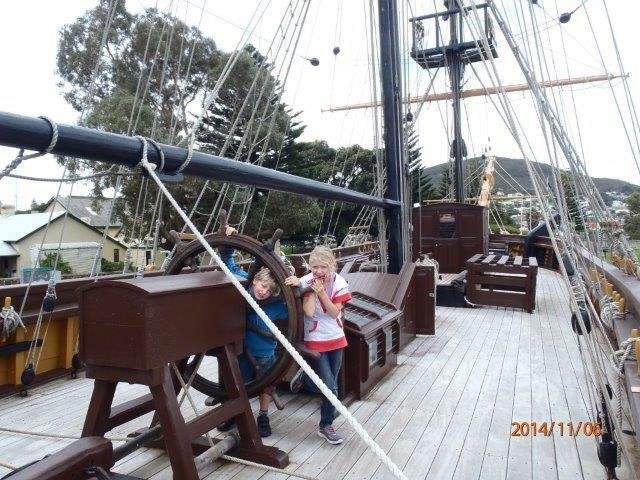 We all enjoyed our tour of the Brig Amity, an exact replica of the original ship that brought the first white settlers to Albany in 1826. 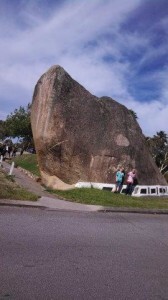 Also visited Dog Rock and all the other wonderful sites of Albany. Long drive towards Ravensthorpe and had our fist really hot day in a long time, reached 33C (my nose even started to bleed, I wasn’t used to such hot dry heat!!). 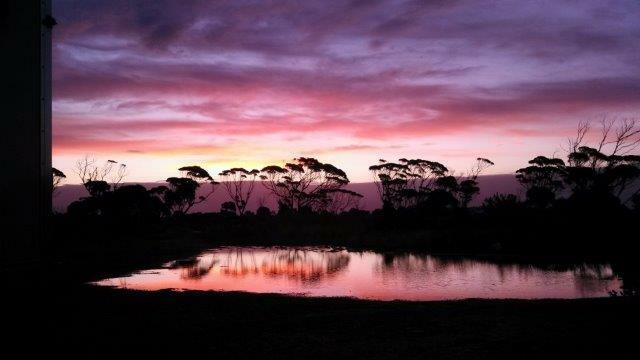 Drove onto Esperance and stayed at The Yabby Farm, another privately owned camp like Reelmein that the local councils are trying to shut down. 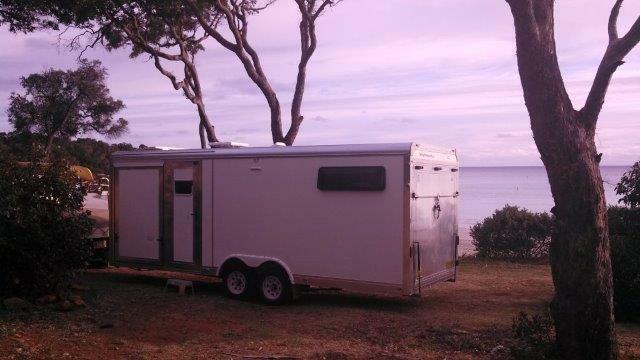 I don’t think councils realise that long term travellers cannot afford caravan parks all the time and if it wasn’t for cheaper alternatives, we wouldn’t stay as long as we do in towns and spend our money!!! 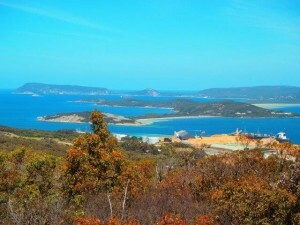 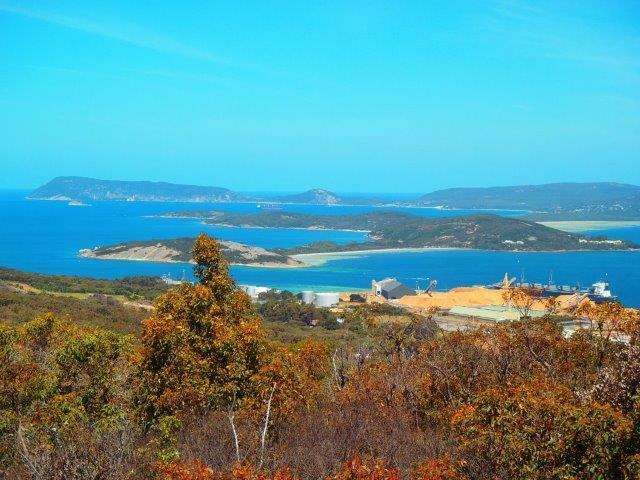 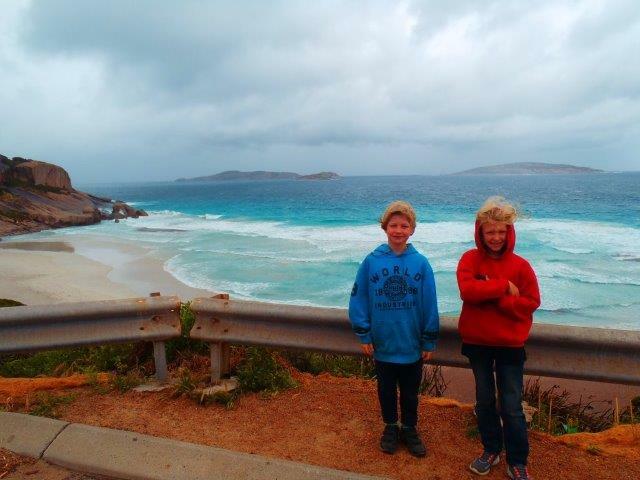 If it wasn’t for the Yabby Farm, we would have stayed in Esperance for only a day which would have been a shame as the beaches here are out of this world gorgeous (even on a very cold windy day). 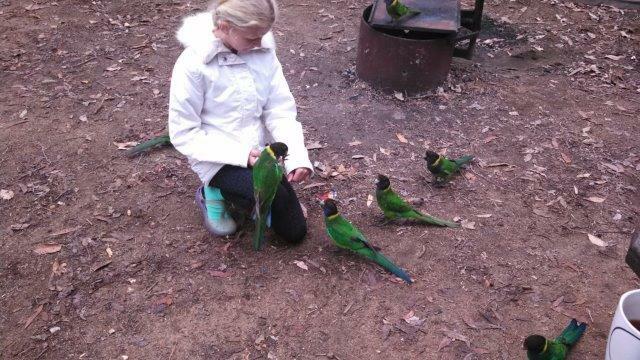 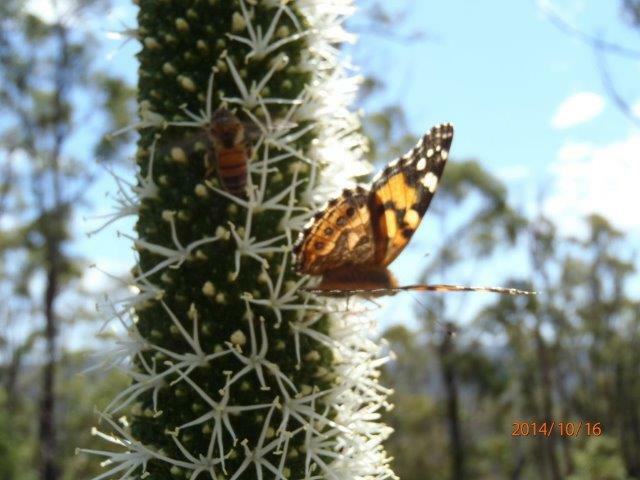 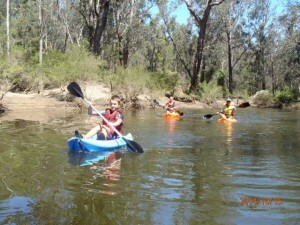 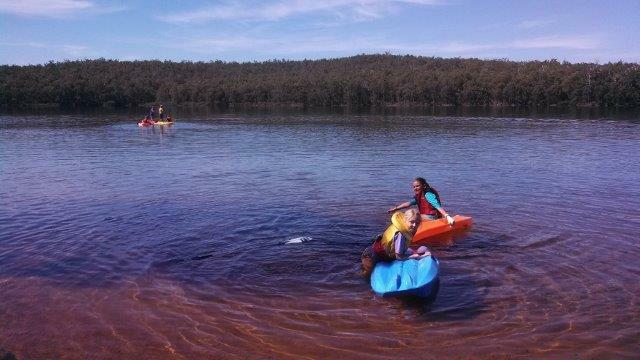 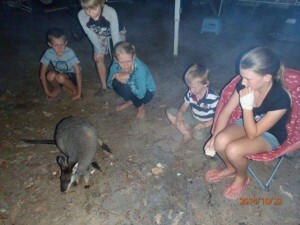 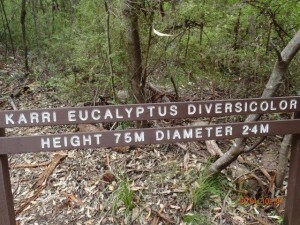 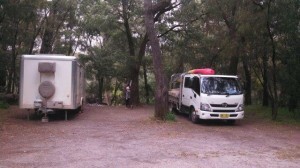 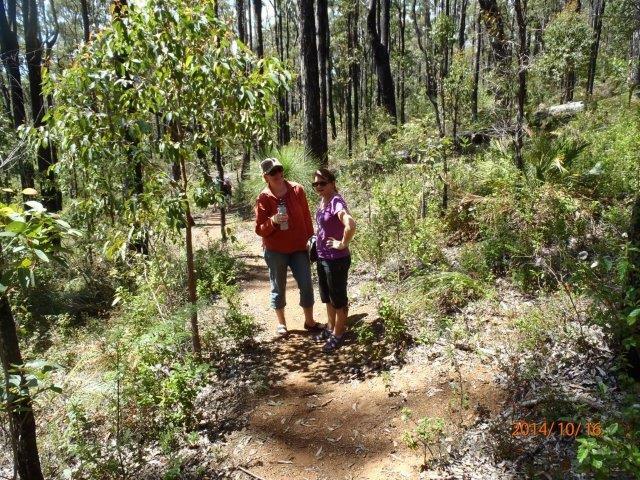 Here we camped with the Gulliver’s (whom we met in Mount Gambier back in early February, they are from Lake Macquarie). When we arrived there was another van here and it belonged to Chris and his girls (whom we met in Kalbarri and are from Wyong) and Ronnie & Tracey (whom we met back in early January at the end of the Snowy Mountains) who happened to be in the area too!!! Such a small world. 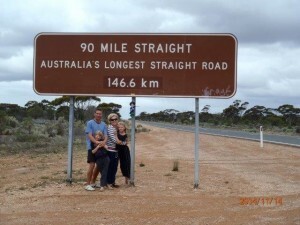 If only Jim, Jo & Arid were with us, it would have been a lovely reunion!!! 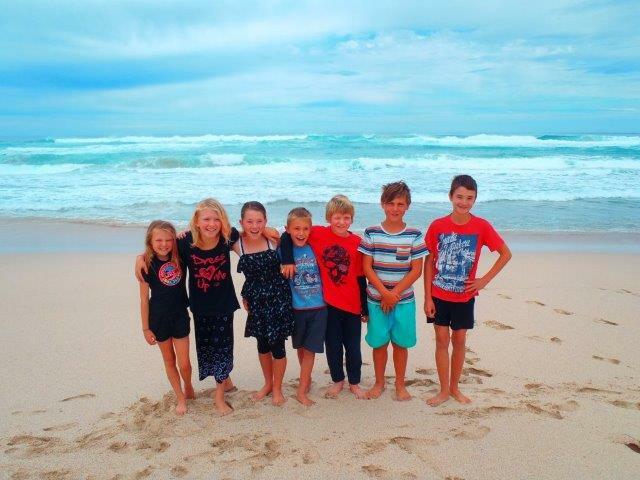 Another lovely family whom are also travelling with kids and live 30mins from us back in Newcastle, were also camping there so between us there were quite a few kids running around and having a fab time. All long term travellers doing distant education. 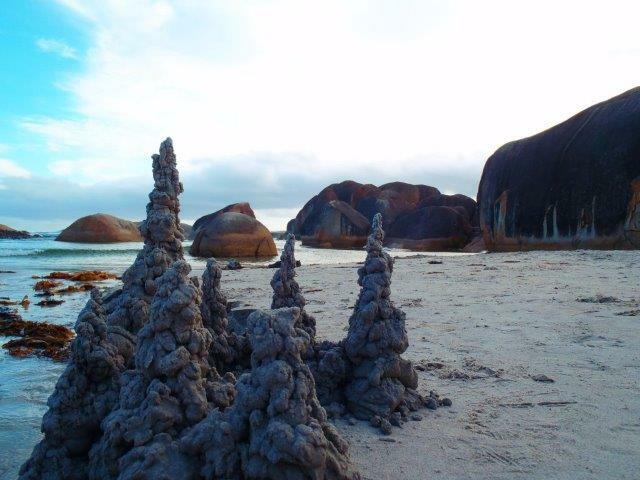 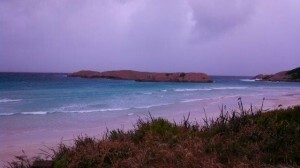 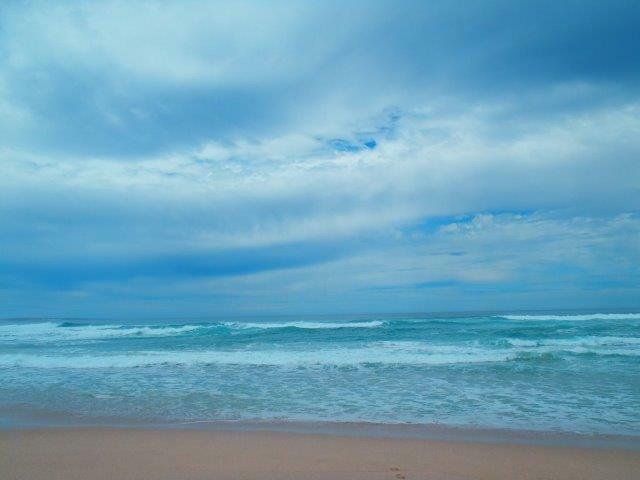 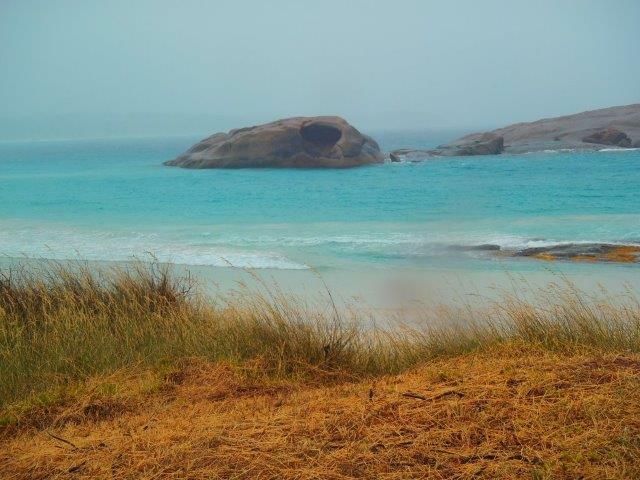 Whilst in Esperance we drove around and visited Twilight Beach which is just stunning (even in a storm!). 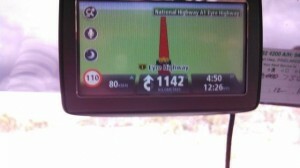 Time to head up to Norseman after our stay and then east along the Nullarbor. 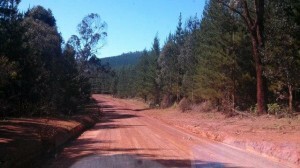 I had concerns about this road, it’s so long I wasn’t sure what to expect, but other than the boredom it was a fairly uneventful drive that Wayne and I shared the driving on. 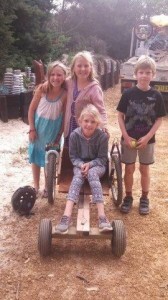 Lots of school work completed with us taking turns with a child in the backseat doing maths or reading. 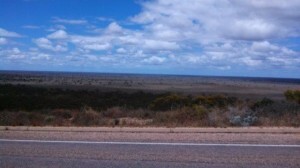 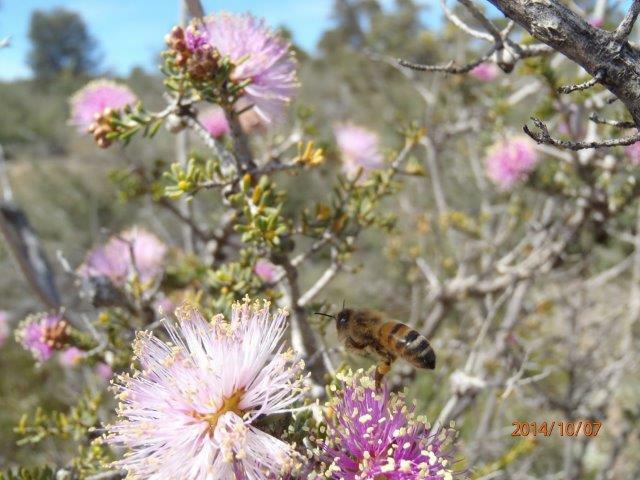 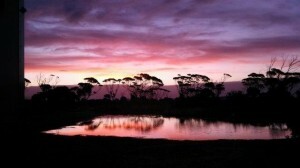 There are hundreds of free stops on the Nullarbor to stop and rest or sleep in. Overall the drive from Esperance to Ceduna was 1403 kms and it took us 3 days and 2 nights to cross, along with two time zones! 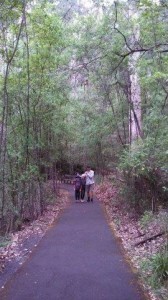 We went from 3hours behind to only 30mins behind! 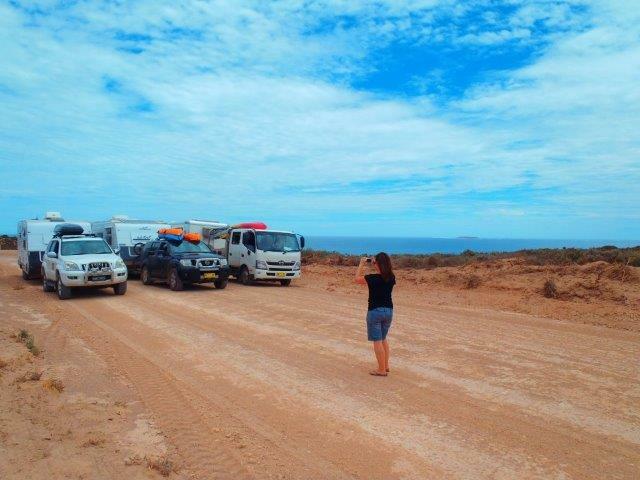 At Ceduna they have a quarantine check for fruit and vegies, but it was nowhere near as strict as the quarantine going INTO Western Australia. 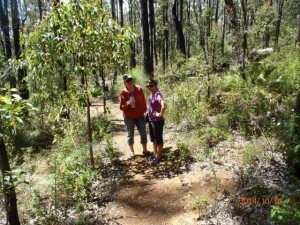 I made sure we had eaten or cooked all our vegies and fruit so we were fine. I am so glad we could take our 3 large tubs of WA honey that we had bought!!! 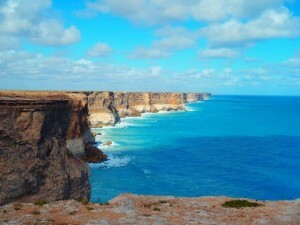 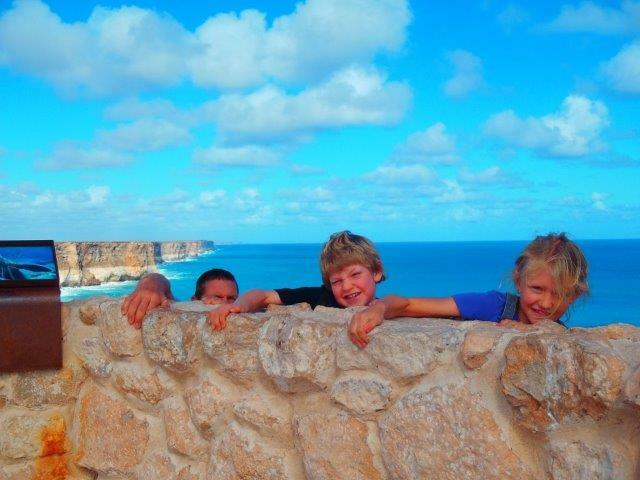 I really enjoyed the stunning views of the Great Australian Bight the most. 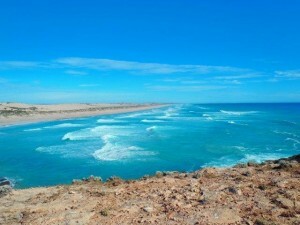 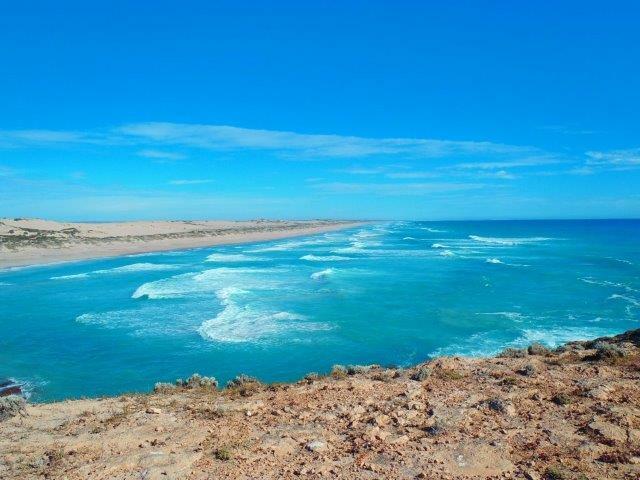 We are now travelling on the Eyre Peninsula which is still part of the Bight as seen by these stunning coastlines. 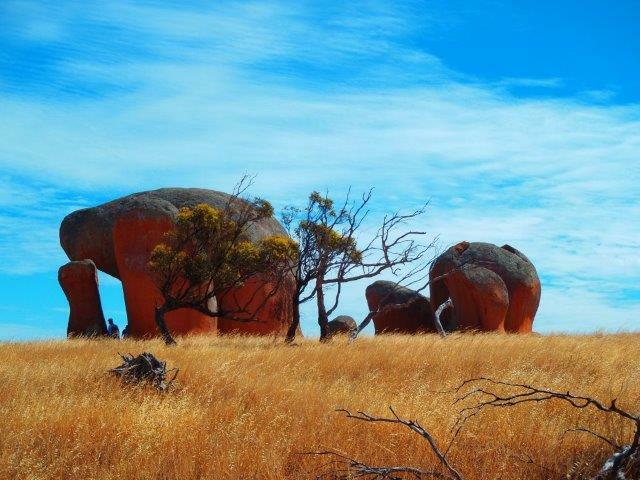 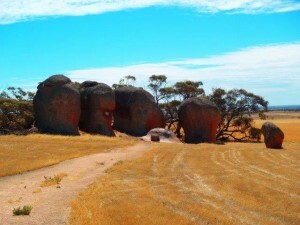 These rocks are part of Murphy’s Haystacks in a place called Mortana. 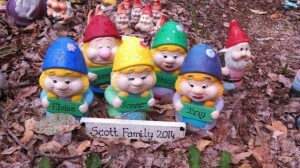 Aren’t they unreal! 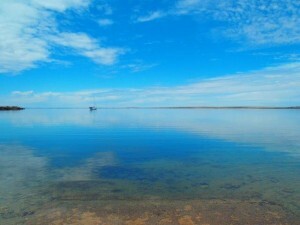 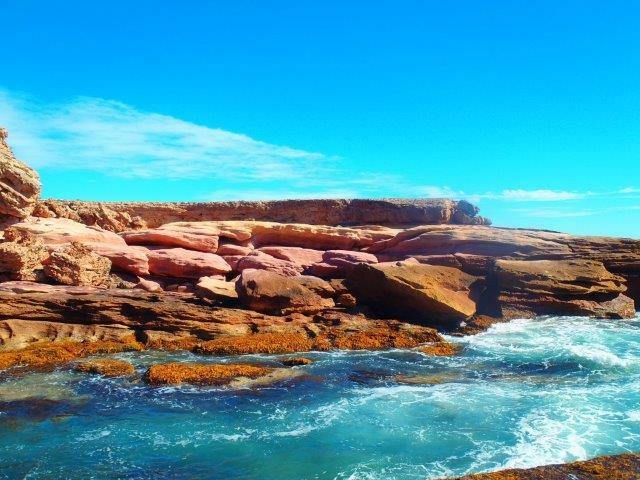 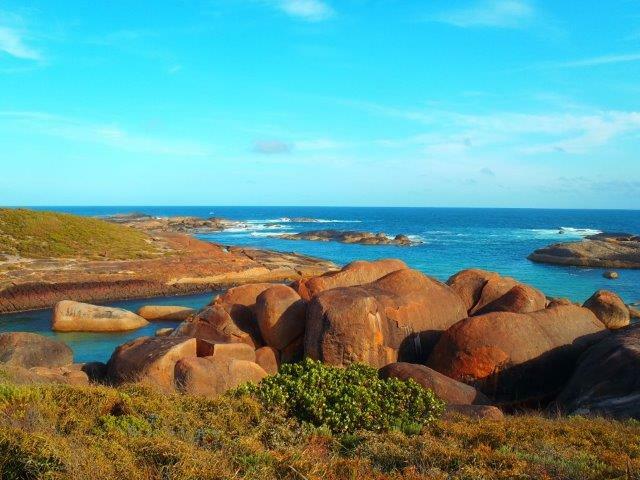 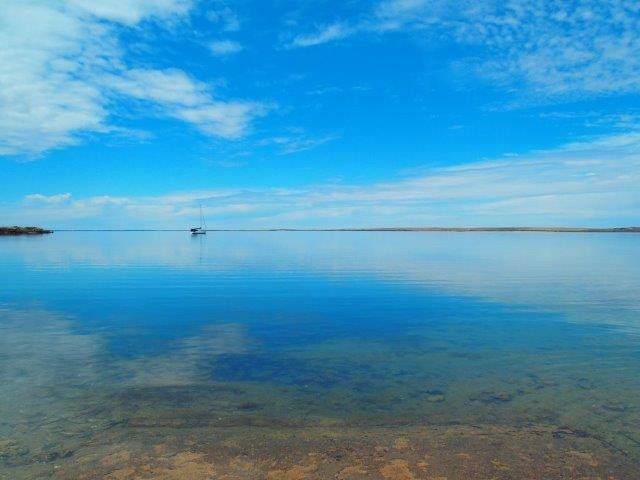 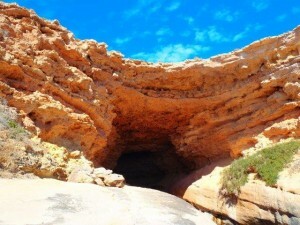 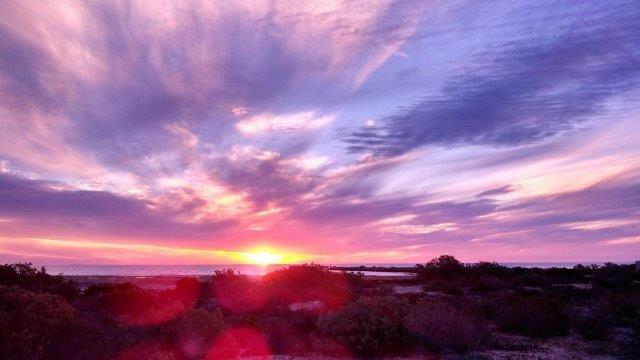 More gorgeous views of the Eyre Peninsula around the Streaky Bay area. Next stop is Port Lincoln.